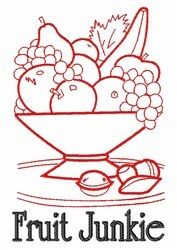 A beautiful bowl of fruit is a great decor for any occasion. 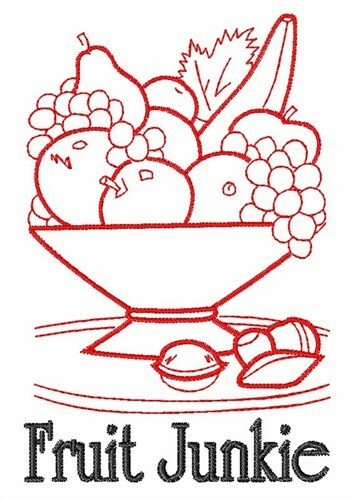 Satin Stitch is happy to present Fruit Junkie machine embroidery design which has 6330 stitches and is [69.76 mm x 106.19 mm] large. If you would like to view more embroidery patterns please search on our embroidery designs page.